If you’ve recently gotten a DUI, you’re probably more than a little nervous about what comes next. What happens to your car or your license? Do you need to contact a lawyer? 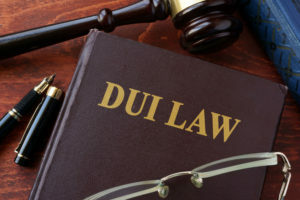 To help with some of the anxiety that comes with a DUI stop, here’s a very brief guide on what you can expect when getting a DUI in Arizona. Any time you’re interacting with law enforcement during this process, be courteous and polite; you’re much more likely to come out of this situation in a better state if the law enforcement officer or other official sees you as respectful. Know your rights, and make sure that they’re respected. Any interaction with law enforcement can be stressful, and it’s easy to forget exactly what you are and are not allowed to do, but making sure that your rights are respected is essential. Make sure that you have an attorney that you trust, and rely on your attorney to help you through this situation. You and your attorney should be able to discuss your situation and determine the best legal course of action. Getting a DUI conviction will look different case by case and will depend on the details of your situation. However, in many cases, your license could be suspended and your driving privileges will likely be limited. This depends on your intoxication level and previous driving record, including multiple DUI charges. If your license is suspended, in some situations you may be eligible for a restricted license. Generally, these restricted licenses require the use of ignition interlock devices on your car. These devices prohibit the engine from starting if an alcohol sensing device registers above a pre-set level, typically around 0.02 BAC. After a certain period of time with an interlock device installed, you might be able to remove the restrictions on your license. Looking for ignition interlock devices after getting a DUI? QuickStart Ignition Interlock has several interlock devices available for your car to get you back on the road safely and quickly. Get your interlock device installed today so you can get back to life after getting a DUI.